A thoughtful comedy about new beginnings in the twilight of life, The Best Exotic Marigold Hotel tackles themes of growing old, starting over, and dreaming at any age. Seven British pensioners come to a crossroads in life. Evelyn (Judi Dench) finds herself a widow, her husband having left her nothing but a mountain of debt. Douglas and Jean Ainslie (Bill Nighy and Penelope Wilton) reach retirement age and find themselves poor, having invested badly. Muriel (Maggie Smith) is a retired house cleaner and a racist. She needs hip replacement surgery but can't afford to pay her way out of a six month wait. Graham (Tom Wilkinson) suddenly calls time on his career as a judge. Norman (Ronald Pickup) is a lifelong womanizer now finding it increasingly difficult to attract new lovers. Madge (Celia Imrie) has had a succession of failed marriages, and is still looking for the perfect rich man. They all make the trek to the Best Exotic Marigold Hotel, a resort in Jaipur, India with marketing material much better than the dilapidated reality. The hotel is run by the young and energetic Sonny (Dev Patel), who dreams big but is unable to look after the details necessary to manage a business. Sonny is in love with Sunaina (Celia Imrie), much to the disapproval of his mother (Lillete Dubey). Evelyn finds a job at the call centre where Sunaina works, Douglas and Jean find themselves quietly drifting apart, Muriel has her surgery and encounters her own reflection in the hotel's silent cleaner. Graham looks for a long lost lover, while Norman and Madge continue their search for lust and marriage respectively. Meanwhile, Sonny struggles to keep the hotel financially viable and his mother at bay. 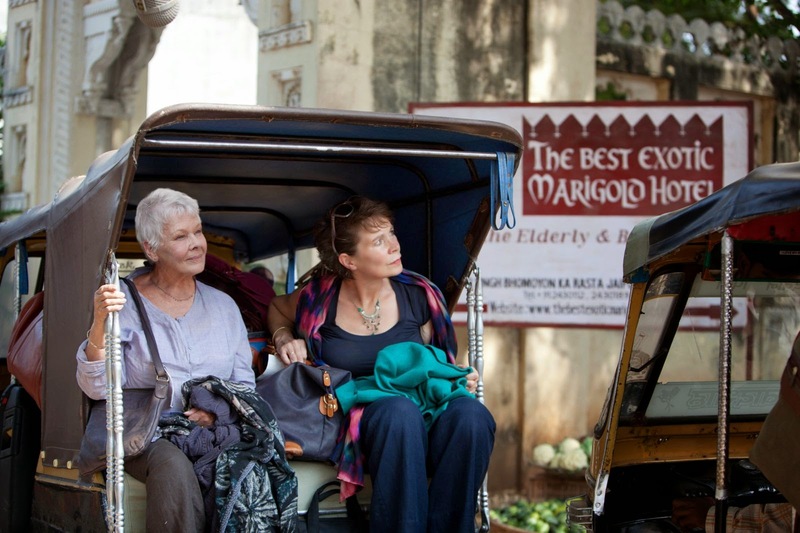 Directed by John Madden with a soft touch and deliberate pacing, The Best Exotic Marigold Hotel combines wry humour with an exploration of options after life closes the obvious doors. Each one of the seven British characters has arrived at an unexpected fork in the road and is seeking a new window to open. But here the similarities end, and after gathering at the hotel, their journeys will take them in different and unexpected directions. There are occasional interactions and overlaps between various pairs, but this is film about personal discoveries rather than collective experiences. There are past loves to be found, previously unknown strengths to be discovered, hard attitudes to overcome, and weaknesses to be confronted. New chapters in life are started, others are eternally closed, and some stale relationships finally dissolve. The Ol Parker screenplay (based on a Deborah Moggach book) maintains a steady state of evolution, and keeps the surprises coming to ensure an enjoyably unpredictable experience. The screen time is almost evenly divided between the stories, but gradually Maggie Smith's layered portrayal of the overtly racist Muriel forms the central cultural bridge in the film. The wheelchair bound Muriel travels to India to take advantage of the affordable medical care provided by people that she looks down upon. Her journey encounters its twist when Muriel finds herself staring down at the servant that she used to be, and she cannot fail to empathize. It's the start of an awakening that will progress with Muriel pursuing her passion to run a big house in a culture that she will learn to embrace. 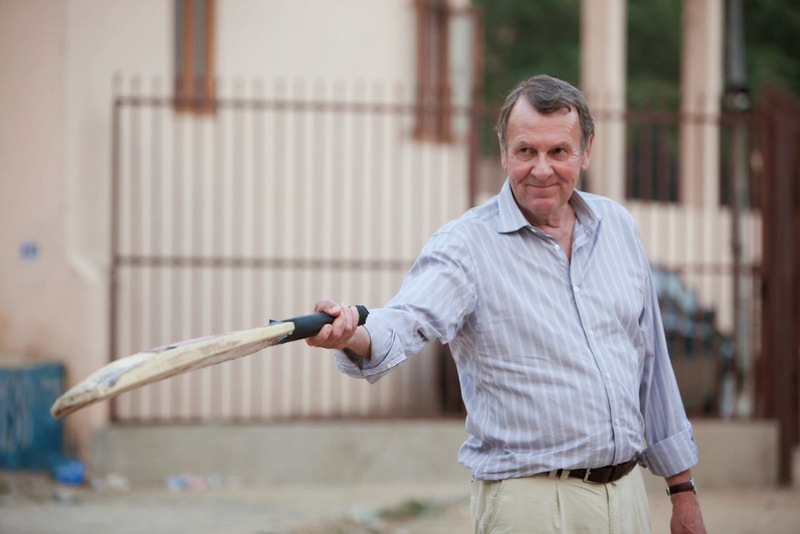 Tom Wilkinson's Graham looking for the first love of his life is prominent early on, while the story of the Ainslies finally having to confront each other with no boring careers to hide behind gains in prominence in the latter half of the film. The local adventures of Sonny dreaming big while being hopelessly incompetent at the details is probably an impersonation of his country. His love for Sunaina against his mother's wishes is cute and modernized in its sexual liberation, but finds a rather trite ending. As can be expected from a cast of British screen veterans, the performances are uniformly excellent, and Madden controls most of his urges to meander into stereotypical scenes of India the exotic. Much like its guests, The Best Exotic Marigold Hotel is filled with quirky secrets to discover, and the sense of grand history is rivalled only by the unmistakable sentiment that no matter the age of the structure, the future can still overcome the disappointments of the past.